Analysis: Though the Jaguars offense was downright ugly for much of Sunday, it was a decent finish to the season for Cole, who had been held catchless over the previous two weeks. The second-year target looked like a solid find early in the season, but he didn't top 100 yards or score after Week 2's win over the Patriots. He could definitely be in line for a value bump if Jacksonville upgrades at quarterback in the offseason. Analysis: Cole was again unable to capitalize on his usage as Jacksonville's No. 3 wideout, as he logged his fifth game of the season without a catch. The second-year receiver has struggled in Jacksonville's low-octane offense all year, and he doesn't carry much fantasy intrigue heading into a Week 17 tilt against the Texans. 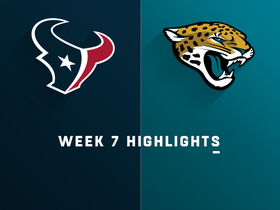 Analysis: The Jaguars had a miserable offensive performance Sunday as quarterback Cody Kessler attempted only 17 passes and totaled 57 passing yards. Cole once again served as the No. 3 wide receiver with D.J. Chark (quadriceps) still sidelined and actually saw one fewer snap than Donte Moncrief, but there's little fantasy value given the current state of Jacksonville's offense. Analysis: Cole saw 37 offensive snaps Sunday with D.J. Chark (quad) again sidelined and managed to log his first yards after being blanked in each of the previous three games. The 25-year-old remains a Hail Mary option for fantasy but could work as the Jaguars' No. 3 receiver again Thursday at Tennessee with Chark missing the first two practices of the week. Analysis: In rookie D.J. Chark's (quad) absence, Cole saw 49 offensive snaps Sunday -- exceeding his snap total from the last two games combined -- but finished with nothing to show for it. QB Blake Bortles produced only 231 passing yards over the Jaguars' last two games and has now been benched in favor of Cody Kessler. Perhaps the change will help spark Cole 's production, but we'll need to see him and Kessler connect before recommending the wideout as a fantasy roll of the dice. Cole was not targeted in Sunday's loss to the Steelers. 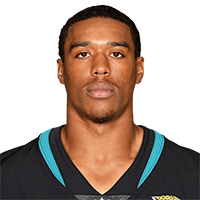 Analysis: Coles' presence in the Jaguars offense has all but evaporated as he hasn't been targeted in the last two games, and has played a combined 53 offensive snaps over the previous three weeks. Rookie D.J. Chark has taken over as Jacksonville's No. 3 wide receiver, though he has little production to show for it. Cole has reached the point of near-irrelevance in Jacksonville's struggling offense. Cole was not targeted in Sunday's 29-26 loss at Indianapolis. Cole caught two of three targets for 18 yards and lost a fumble in Sunday's loss to the Eagles in London. Cole turned seven targets into just two catches for 21 yards in Sunday's 20-7 loss to Houston. 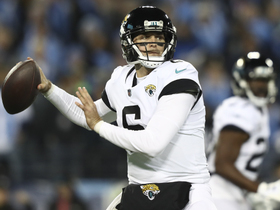 Analysis: Cole's weak output was emblematic of Jacksonville's struggles in the passing game, as quarterback Blake Bortles was bad enough to get benched for Cody Kessler in the third quarter. After catching 15 balls for 210 yards and a touchdown in the season's first three contests, Cole has been held to 12 receptions for 147 yards over the past four. He'll travel to London for a matchup with the Eagles in Week 8. Cole caught four of five targets for 41 yards during Sunday's 40-7 loss to the Cowboys. Analysis: Cole tied for the team lead in targets and failed to haul in just one ball that was thrown his way. Unfortunately, he did little outside of his long gain of 17 yards and came away with one of his lowest totals of the season. Cole has looked like a top receiver at times, but he's also surpassed 54 receiving yards just twice and has one touchdown to his name. He'll look to get back on track next Sunday against the Texans. Cole caught four of 10 passes for 70 yards in Sunday's 30-14 loss to the Chiefs. Cole caught two of three targets for 15 yards during Sunday's 31-12 win over the Jets. Cole turned a team-high nine targets into five catches for 40 yards in Sunday's 9-6 loss to the Titans. Analysis: Cole's quiet game can be traced back to Blake Bortles' struggles, as the quarterback threw for just 155 yards on 34 attempts. Bouncing back will be difficult next week against cornerback Trumaine Johnson and the Jets. Cole turned eight targets into seven catches for 116 yards and a touchdown in Sunday's 31-20 win over the Patriots. Analysis: Cole was one target behind Donte Moncrief's team-leading total, but he led Jacksonville in catches and receiving yards. 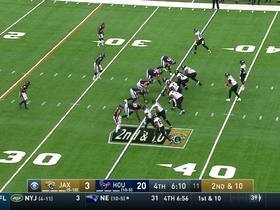 The second-year wideout had an outstanding drive late in the first quarter, gaining 22 yards with a one-handed grab before catching the second of Blake Bortles' four touchdown passes from 24 yards out three plays later. We wouldn't expect Bortles to repeat this performance very often, but Cole looks to be emerging as the Jacksonville receiver to own. Cole caught three of four targets for a team-high 54 yards in Sunday's 20-15, Week 1 win over the Giants. Analysis: Cole recorded at least 99 yards in three of his final four games last season, and his sophomore campaign is off to a solid start. With Marqise Lee (knee) on IR, Cole and Dede Westbrook are primed to lead Jacksonville's receiving corps. Cole and Donte Moncrief are listed as the Jaguars' starting wide receivers on their depth chart ahead of the team's Week 1 matchup with the Giants. Cole isn't expected to play in Thursday's preseason game at Tampa Bay, Mike Kaye of FirstCoastNews.com reports. Cole is in line for a larger role after Marqise Lee (knee) was ruled out for the season, Phillip Heilman of The Florida Times-Union reports. Cole secured his only target for four yards during Saturday's preseason game against the Falcons. Cole failed to snare his only target during Saturday's 14-10 preseason win over the Vikings. Cole (foot) will return to practice with the team Saturday, John Reid of The Florida Times-Union reports. Analysis: Cole's foot injury cost him Thursday's preseason opener, but it appears the minor nature has held true and he's ready to practice again. The second-year wideout is expected to step into a full-time starting role this season following a 2017 campaign where he recorded 42 catches for 748 yards as an undrafted rookie. Cole was held out of Thursday's preseason game against the Saints with a foot injury, Mike Kaye of FirstCoastNews.com reports. Analysis: The specifics of the injury are unclear at this point, as it was just disclosed Thursday afternoon. The 25-year-old's next chance to suit up for preseason action is Aug. 18 at Minnesota. Cole will be held out of Thursday's preseason contest against the Saints, Tad Dickman of the Jaguars' official site reports. Per Hays Carlyon of 1010 AM WJXL, Cole is dealing with a minor undisclosed injury. Analysis: Cole's listing among the Jags' scratches was a bit surprising, but it makes sense in the end if his health isn't pristine. The second-year wideout will have a few more chances to take the field during exhibition season, with the next arriving Saturday, Aug. 18 in Minnesota. Cole and Marqise Lee are listed as the starting wide receivers on the Jaguars' unofficial preseason depth chart, Mike Kaye of FirstCoastNews.com reports. 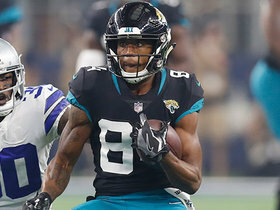 Cole could head into training camp as the Jaguars' top option at slot receiver, Mike Kaye of FirstCoastNews.com reports. Cole will be part of a Jacksonville receiving corps that includes Marqise Lee, Donte Moncrief and fellow second-year player Dede Westbrook, but not Allen Robinson or Allen Hurns, Adam Schefter of ESPN reports. Cole brought in one of two targets for 45 yards in Sunday's 45-42 AFC divisional-round win over the Steelers. He also returned one kickoff for three yards. 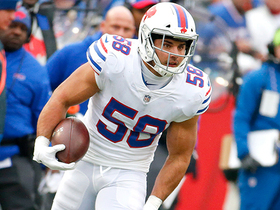 Cole (quadriceps) does not carry an injury designation for Sunday's game against the Titans after practicing fully Friday. Analysis: Cole, who has logged back-to-back 100-plus-yard outings, will be available this weekend in a game that has no playoff implications for the Jaguars. That said, coach Doug Marrone has indicated that the team is not expected to rest starters Sunday, so Cole should remain involved as long as Sunday's game is competitive, with fellow wideout Marqise Lee (ankle) out this weekend. Cole (quadriceps) was a limited participant at Thursday's practice. Analysis: Cole has been limited in both of the Jaguars' practice sessions to open the week, but it's believed he'll be ready to suit up Sunday against the Titans. The wideout, who has turned in back-to-back 100-yard outings, would clear up any concern about his status for the weekend by practicing fully Friday. Cole caught six passes for 108 yards on 13 targets against San Francisco on Sunday. Analysis: Cole briefly left the game with an ankle injury, but returned not long afterward. Assuming it doesn't swell up on him leading into next week's practices, Cole will have another favorable matchup against Tennessee in Week 17. Particularly if Marqise Lee (ankle) and Allen Hurns (ankle) remain out, Cole would have a solid projection against the Titans. Cole is questionable to return to Sunday's game at San Francisco due to an ankle injury. 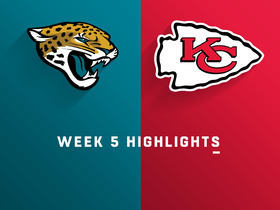 Analysis: According to Mike Kaye of FirstCoastNews.com, Cole was "twisted up on a block" during a fourth-quarter drive, which concluded with a T.J. Yeldon TD run to bring the Jags within 37-27 just before the two-minute warning. If Cole fails to return in the waning minutes, he'll finish the contest with six catches (on 12 targets) for 108 yards, marking his second outing in a row hitting the century mark. Cole caught seven of nine targets for 186 yards and a touchdown during Sunday's 45-7 win over the Texans. Cole brought in all three of his targets for 99 yards and a touchdown in Sunday's 30-24 win over the Seahawks. Cole caught all three of his targets for 49 yards and a touchdown in Sunday's 30-10 win over the Colts. Analysis: Cole scored his first NFL touchdown from eight yards out late in the second quarter and accounted for quarterback Blake Bortles' longest completion with a 32-yard catch in the third. The rookie undrafted free agent should continue to operate as Jacksonville's No.3 wide receiver behind Marqise Lee and Dede Westbrook with Allen Hurns (ankle) sidelined. Cole had two catches for 30 yards in Sunday's loss to Arizona. Analysis: While Cole saw a healthy number of targets (7), he was only able to manage two catches, one of which went for 24 yards. The undrafted free agent has stepped up in the absence of Allen Hurns (ankle), seeing 21 total targets over the last three weeks, but it was Dede Westbrook who led the Jags with 10 targets in Week 12. Hurns did not practice Wednesday, so if he misses a third straight game, Cole would again be thrust into a bigger role as the team's No. 2 or No. 3 receiving option. Cole is slated to start at wideout in place of Allen Hurns on Sunday against the Browns. Analysis: Dede Westbrook (who was activated from IR on Saturday) is also in uniform Sunday, but both players are speculative Week 11 plays, with Marqise Lee in line to head the team's wideout corps and less-than-stellar weather on tap in Cleveland. Cole is likely to start Sunday's game against the Browns with Allen Hurns (knee) ruled out for the contest, Mike Kaye of FirstCoastNews.com reports. Cole caught three passes for 61 yards in Sunday's win over the Chargers. Jacksonville Jaguars quarterback Cody Kessler throws a 35-yard pass to wide receiver Keelan Cole. 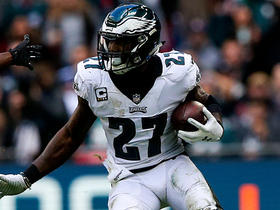 Philadelphia Eagles safety Malcolm Jenkins recovers Jacksonville Jaguars wide receiver Keelan Cole's fumble. 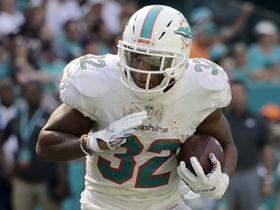 NFL Network's Marc Istook and Adam Rank talk about their unpopular starts for Week 7 of the 2018 season for fantasy football. 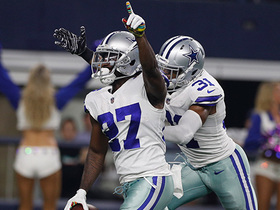 Dallas Cowboys cornerback Jourdan Lewis scoops up loose ball after Jacksonville Jaguars wide receiver Keelan Cole fumbles from being tackled. 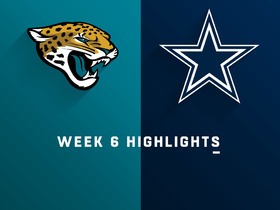 Watch highlights of the Jacksonville Jaguars vs. Dallas Cowboys game in Dallas Texas for Week 6 of the 2018 season. Jacksonville Jaguars wide receiver Keelan Cole cuts across the center of the field for a 17-yard gain and first down against the Dallas Cowboys.